Harwich derives its name from the Old English Here-wic ( Military settlement ) and received its charter in 1238 although there is evidence of earlier settlement in the area. Today the town is contiguous with Dovercourt and Parkston and all three are often collectively known as Harwich. 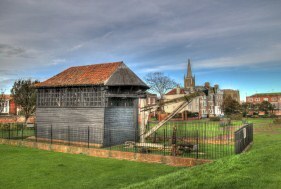 In the 17th century Harwich became a naval town and in the conservation area at the oldest part of the town many of the period properties are regarded as being of special architectural heritage. The adjoining town of Dovercourt was predominantly developed around the early 20th century and its fine sandy beaches are still popular with the local residents and holiday makers although tourism was at its hey day in the 1960’s – 1990’s. Parkston is nowadays the base of the Harwich International Port..